Everyone needs a romantic getaway! Whether you’re on your honeymoon, celebrating an anniversary, or simply having a quiet weekend away, Niagara Falls is the perfect area. There are plenty of romantic excursions to go on during your stay at Asa Ransom House. From hiking to boating, discover the best things to do in Niagara Falls for couples! Do you want more suggestions for things to do in Niagara Falls for couples? Download our free Vacation Guide. We’d compiled the best restaurants, museums, and attractions in the area. It’s never been easier to plan your trip to Clarence, NY! There’s a reason Maid of the Mist is such a famous Niagara Falls attraction! Since its maiden voyage in 1846, Maid of the Mist has been shepherding locals and visitors alike to spectacular views of the falls. You’ll be able to get close to the base of the falls, a view that only a fraction of visitors get to see! Ticket prices are only $18.25 per person. Make sure to wear your rain jacket because you will get soaked! Goat Island is a small island on the Niagara River that is a popular sightseeing spot. The island houses Niagara Falls State Park, which includes great hiking spots, a scenic trolley, an aquarium, a theater, and Caves of the Falls, which allows visitors to explore under the falls. 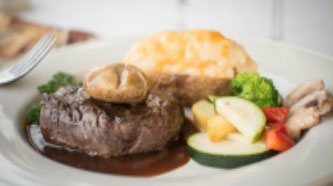 You’re not going to want to miss Top of the Falls Restaurant, which serves up amazing views and food. You’ll enjoy classic and modern American cuisine at this one-of-a-kind restaurant. Whirlpool State Park has two levels. The bottom level offers hiking and fishing. 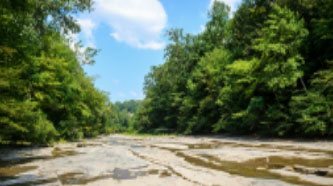 You’ll be able to hike upstream along the Whirlpool Rapids or downstream to the Devil’s Hole Trail. The upper part of the park is the scenic level, with beautiful views of the Whirlpools and rapids. Make sure to bring your camera and take plenty of snapshots of these amazing sights! If you’re looking for a little more adventure, check out Whirlpool Jet Boat Tours! These tours take you along the rapids of the Niagara River. There’s nothing more romantic than an adrenaline rush and beating hearts! Whirlpool Jet Boat Tours also offer great packages, including the Water to Wine Tour. You’ll start your adventure on the river, going through the class-5 rapids of Devil’s Hole. Then, you’ll go to Pillitteri for a tour of the estate. Finally, you’ll be brought back to one of the tasting bars to experience a tutored wine tasting paired with chocolate truffles. What could be more romantic than that? 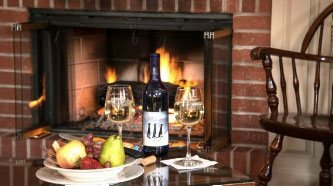 Once you’ve finished exploring these great things to do in Niagara Falls for couples, return to Asa Ransom House for a romantic evening. 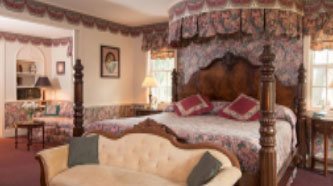 Book our Romantic Getaway lodging special to enjoy a romantic room, a four-course dinner for two, and a full country breakfast in the morning. The rooms come with fantastic views of the gardens and the pond with a fountain. They also feature a fireplace for those cool evenings and a whirlpool tub. Browse our list of guest rooms and book your stay with us today! We look forward to having you.